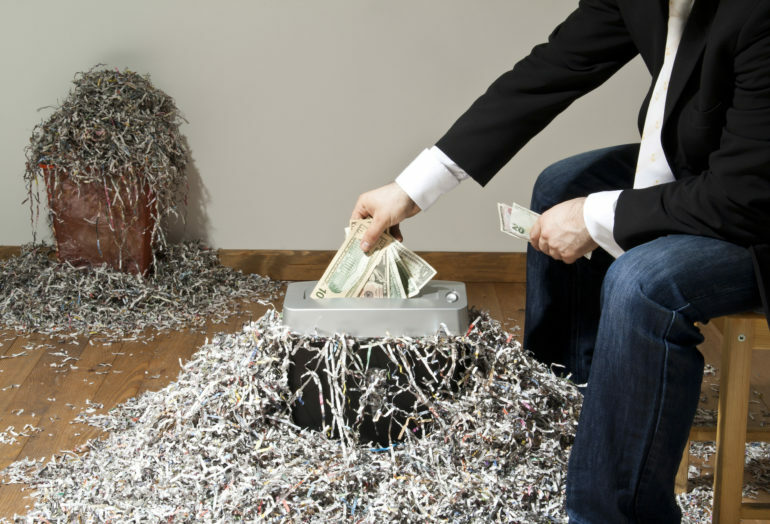 The federal government has a severe spending problem. But without understanding the nature of the issue, we can’t adequately address it. What’s more, there are several myths circulating around this debate that further muddle the truth. So, let’s address a few of these myths to get the facts about federal spending! Fact: If only that were the case! Raising revenue is one thing — but cutting spending is much more difficult. In fact, over the past 30 years, spending growth has steadily outpaced revenue growth, with the former at 2.3 percent and the latter at 2.2 percent. The difference between those two numbers appears small, but over time, it amounts to trillions of dollars. 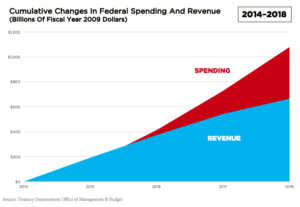 That said, over the past five years, federal spending growth has dramatically outpaced the revenue to match it, even though revenue was still growing. Put simply, federal revenue is growing. We’ve just spent too much for our revenue to cover. Fact: Strike two. After the Trump administration’s tax cuts, revenues increased by $14 billion. While it is true that corporate tax revenues decreased significantly, individual income tax revenues increased more than enough to make up the difference. The problem of the federal deficit is almost solely a problem of overspending, not under-taxing. The only solution to this problem is to cut spending. There is simply no other way to promote our country’s fiscal health. Fact: The Manhattan Institute has run the numbers on the idea of balancing the budget of 6 percent GDP within 35 years using higher taxes — and they aren’t pretty. Let’s say you levied a 100 percent income tax on all income above $500,000. According to the Manhattan Institute, “this would raise barely more than 5% of GDP — at least for year one.” That projection would also assume that this tax would have no effect on working or investment, and it surely would. It is important to note that these rates would rise well above the revenue maximizing rate — and would therefore be impossible to achieve. In other words, our spending is so outrageous that we couldn’t even theoretically tax ourselves to cover it at the highest level. What’s more, taxing Americans and their businesses comes with a cost, decreasing productivity, competitiveness, wages, national economic performance and hurting small businesses — all in an attempt to break even on our out-of-control spending. The simpler — and better — solution is to cut spending to a level that is manageable for our country’s families and businesses. Tell Congress it’s time to stop overspending, by signing here!